Swerve designed three new charge products for the Quirky brand, each with its own unique features, bringing convenient and simpler charging to the home and office. The Mag-charger is designed to be the most convenient desk charging/power product on the market, yet uniquely hidden from view. By incorporating a magnetic adaptor plate, the unit can be attached to the underside of the desk edge and wont disrupt the lines of the furniture. The design also features two power sockets and led charge indicators. We designed and engineered the unit for our clients to be manufactured efficiently and durably to withstand knocks and the rigors of daily use. 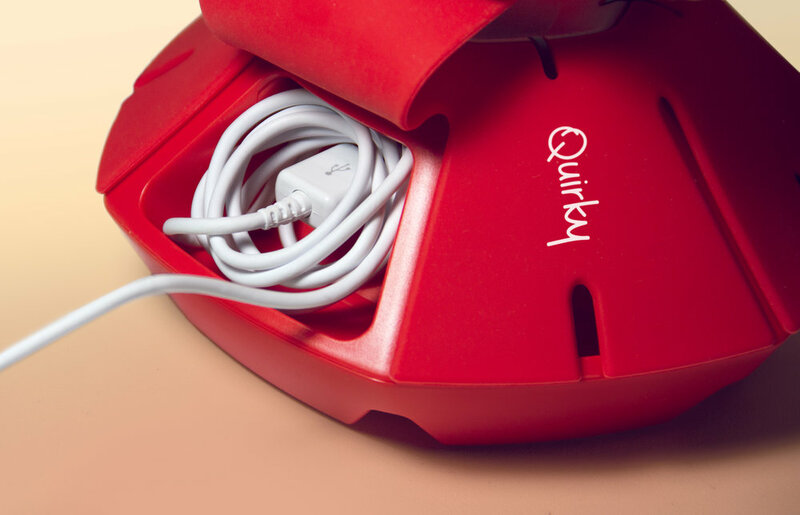 Our original Quirky charger combines 3 power sockets with 3 USB sockets and incorporates a standing slot to keep smartphones and tablets neat and safe during charging, along with led charge indicators. The Protect also has a simple elevated base which allows the cables to be wound away neatly keeping surfaces and desktops clutter-free.